Crowdfunding Bible is a useful resource to understand this new option for nonprofit fundraising. It’s is a new trend that’s taking off for nonprofits that was just discussed at the Abila MIP User Conference. Just like for for profit businesses, it’s important to recognize it’s not a funding panacea and it works more easily if the non-profit has established its brand. The brand name reduces the risk for donors who want to make sure their money will be used appropriately. Probably, it’s easier in other ways for nonprofits because the staff of nonprofits, especially the executive team, are used to interacting with donors. This is a new problem for startup for profit businesses who can be frustrated by the time it takes them to respond to their “donors” better known as “investors” instead of spending it on their business. One thing both nonprofits and for profit businesses must to be aware of are the laws that surround these funds. It’s a relatively new area and so case law is scarce. Nonprofits can expect more laws and regulations and need to keep on top of them. Although this is not meant as legal advice, we do recommend you speak to your lawyer as well as your accountant about crowdfunding— and keep talking if you use this as a way to raise funds. Make sure everyone stays current. Comment on proposed laws where appropriate. 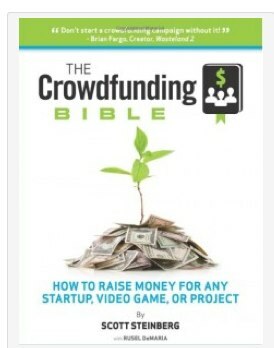 We do also encourage you to buy and read The Crowdfunding Bible by Scott Steinberg or download it for free at his website. Its focus is on for profit businesses but will give your nonprofit some great information. Just as with any donor funds, nonprofits also need to be watching for the potential of fraud and embezzlement. TeamNFP will be providing a free webinar on this issue through its Certified Business Partners. Be sure to contact your MIP partner for dates and to reserve a spot. If you don’t have an MIP partner, please check out our partners. Also ask them for a demo of our Positive Pay TM8 4.0 and Check Clearing TM8 1.1 to help you and your bank prevent fraud.